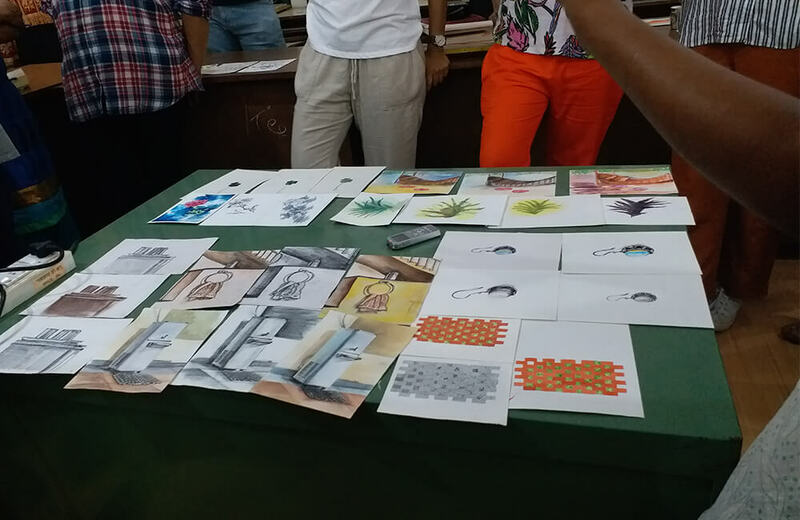 What does the Riyaaz Academy for Illustrators do? It trains young aspiring artists to illustrate for children’s books, textbooks, magazines. 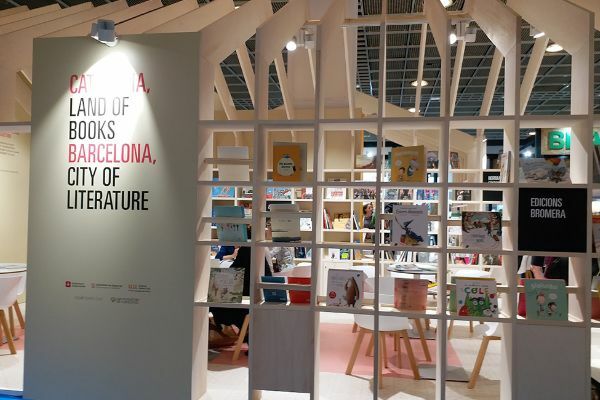 It builds sensitivity about children’s content and also their skills to bring images alive. 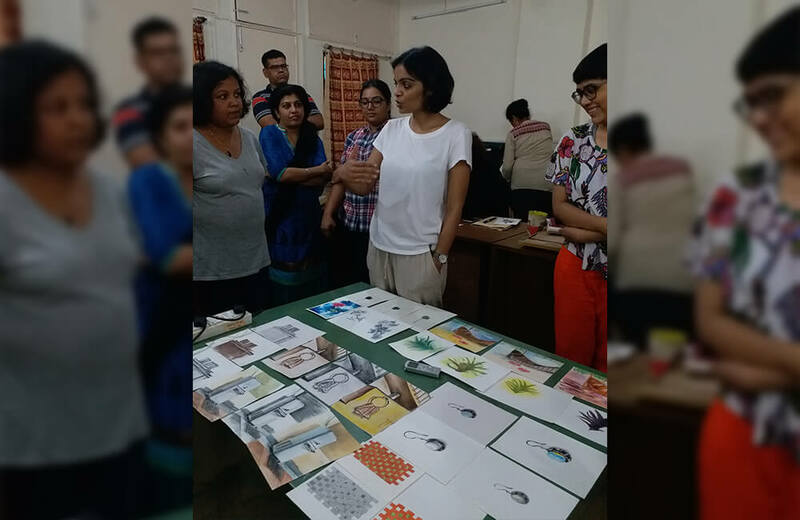 During the first week of contact sessions of the third batch I sat through an engaging session by illustrator Priya Kuriyan. Children’s illustrators use different mediums to tell the story. 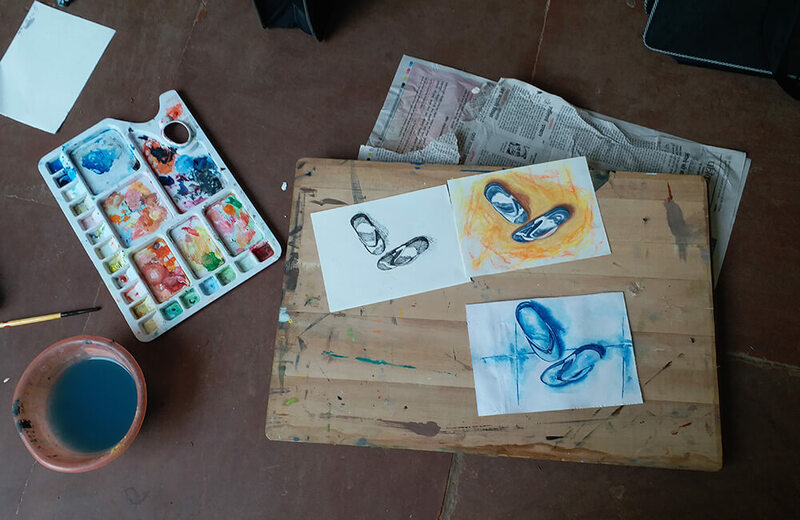 Priya asked the 20 participants to illustrate a live object using three different mediums. Students used charcoal, ink, water colour, pastels etc. The brief was to not mix mediums but to use three distinctly different mediums. One could be the medium students were most comfortable using and another a medium they had never used. The idea was to experiment and push oneself. Also to understand what effect a particular medium brought to an object, and how it changed the mood – making the illustration happy, somber or dark with just a change of medium. Students’ experiences also differed with the changing medium. Some of them were surprised that a new medium they had tried came out well, while a medium they were comfortable with did not have the same effect they were trying to achieve. Some struggled with a new medium. Some discovered how certain mediums brought out the character of an object better than others. Priya shared some of her favourite illustrators and the diversity of mediums they used for their books. She mentioned Clair Beaton who hand stitches fabric, buttons and braids and uses collage as a medium of illustrating stories. Beaton has done several nursey rhymes and books for early grades and the illustrations lend a send of calm and comfort to the poetry. She talked about A Monster Calls by Patrik Ness with illustrations by Jim Kay. The story is about a 13-year-old boy who is repeatedly visited by a monster while his mother is dying. The black and white ink illustrations convey the somber mood of the book, the confusion experienced by the protagonist and almost seem to grow out of the page, like the tree monster himself. She spoke briefly of illustrator Mary Azarian who works with woodcuts. Another illustrator mentioned was Emily Gravett, also one of my personal favourites. In her book Little Mouse’s Big Book of Fears Gravett uses a combination of colour and black and white drawings in a variety of media (charcoal, pencil, ink, pastel and possibly others) as well as collages. Her award-winning book Wolves has collage of hand-drawn sketches and photography and she creates playful shifts in scale and perspective of the rabbit and the wolves he’s reading about. 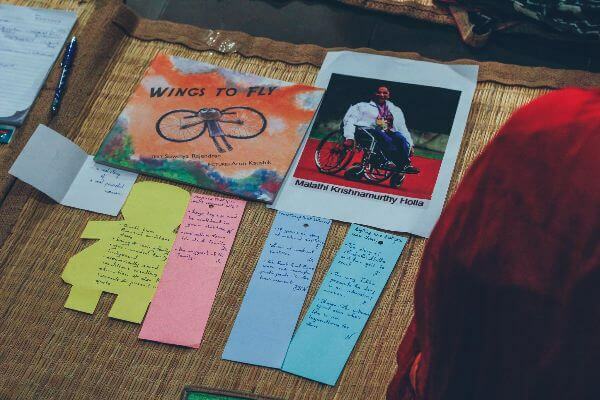 The session touched upon what we aim the Riyaaz graduates to become – storytellers in their own right. Even when illustrators are illustrating someone else’s story they have the means to tell the story through pictures in a powerful way and connect with the reader. For this illustrators need to know what medium is best suitable to tell that story, what mood needs to be created and what emotions need to be conveyed. Moreover, illustrators should not be afraid to experiment, constantly trying new things, practicing to perfect their style and pushing the boundaries of children’s illustrations.